In front of a sellout hometown crowd, mandolin vitruoso Chris Thile returned to Solana Beach, California’s Belly Up to showcase the talent cultivated within his musical supergroup – Punch Brothers. Ushered in by the minimalistic-yet-fully-refined harmonies of the Los Angeles-based Milk Carton Kids, the Brothers took the stage to a crowd that included front man Thile’s own extended family, many of whom reside in the greater San Diego area. Dazed by the Milk Carton Kids purposefully soulful tunes, the Punch Brothers capitalized on the opportunity to engage the audience with their unique brand of progressive bluegrass that, in reality, continues to defy each carefully selected superlative imparted by critics through their 5-year career. The dynamic arrangement that the Punch Brothers deliver manifests itself in a unique way throughout each tune. Although Thile maintains his role as the driving force behind each song, the band maintains a musical dialogue often as raucous as it is genius. Fiddler Gabe Witcher, guitarist Chris Eldridge, banjoist Noam Pikelny, and bassist Paul Kowert each manage to brand each tune with their own improvisations, purposefully taking melodies from perfect harmonies to the edge of discord and back again. A short yet promising career has nonetheless left the Brothers a diverse catalogue of songs, and the 2+ hours on stage was only just enough time to dip into their repertoire. 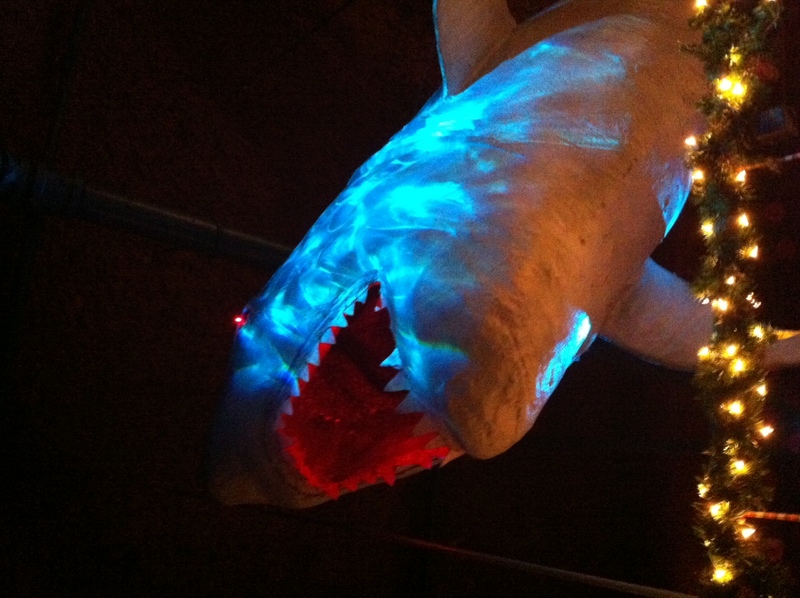 Thile proclaimed “the shark (hanging above the Belly Up bar) is hungry, as he could tell by the light in his eyes” and committed to a selection of songs to keep his hunger at bay. A personal favorite was the performance of “Another New World” of the recently released EP Ahoy! Recounting a tale of love and loss on the high seas, the Brothers bring the song to a heart-racing crescendo leaving me equally impressed with the musicianship as the instruments’ ability to withstand the furious strumming and bowing. After identifying a unspecified cup of brown liquid as bourbon “because of the way it leers at me,” Thile launched into crowd-favorite “Rye Whiskey,” ultimately grabbing a swig from a (Punch Brothers branded) flask to obtain the rye fix. Thile even bolstered the holiday spirit through the inclusion of “I Want a Hippopotamus for Christmas.” Thanking his grandmother (who was present) for the Goldberg Variations record she had gifted him when he was young, Thile launched into a solo mandolin performance of the presto from Bach’s G Minor Sonata before being joined by the band for the remainder of the encore. In the end, the Punch Brothers lived up to their Mark Twain literary namesake, leaving us intoxicated with melodies that lasted well into the next day. I can’t predict where the Punch Brothers will next take us on their musical journey, but I’ll certainly be along for the ride.